I sit down often with plans to write and put out a blog, and usually before I’m done, I’m distracted, and the enthusiasm I began with is now gone. So I just toss the entire blog. 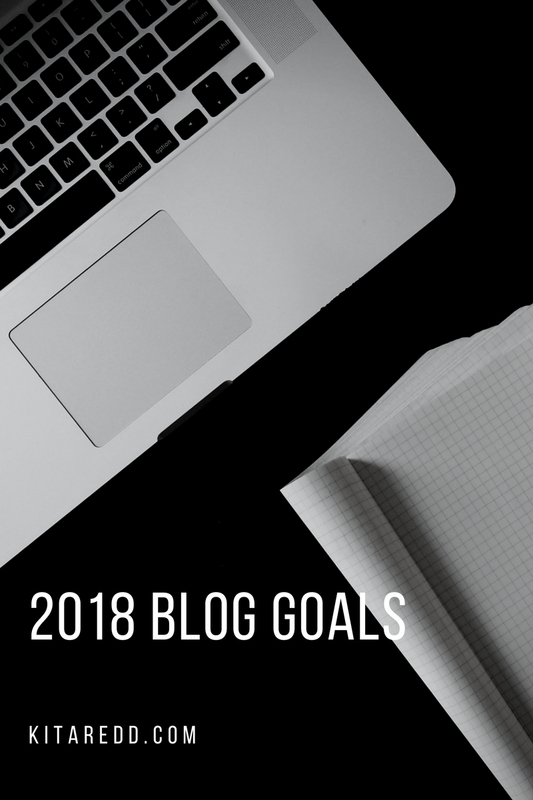 I vow to get better with that in 2018, so I’m gonna go ahead and set some blog goals for myself, and post them so that I’m held accountable as I want to take my blogging to the next level. So here goes. Each month I’ll do a check in on myself to see if I’m staying on track, as well as set smaller goals throughout the months, as far as varying themes for the week. By June (mid-year) I’d like to have my blog fully functioning, visually appealing, and drawing at least 50 new viewers per month. With all of my social media content matching it and up to date as well. Eventually being able to monetize my blog is my ULTIMATE goal, right now it’s more for fun and a creative outlet, but hey, maybe I will write something one day that’ll make folks really flock to my page. So stay tuned, share my posts if you happen to be one of my followers from time to time. I’d greatly appreciate, and CHEERS to a prosperous, promising 2018…. you can do it!!! You have inspired me and I am in such a better place because of it. I love and appreciate you beyond measure. Thank you for being you. You’re welcome Drea, and I’m glad that you’ve found your voice in blogging. You’re doing an AMAZING job!!!! It’s inspiring to know I’m not the only one to try blog goals. I want to try setting goals for myself just to see if that will give me more motivation. ( I’m a horrible slacker) But great post can’t wait for an update! I’m trying Taylor. I don’t think I’ve actually blogged since that post. lol. But I’m going to do better in 2018. Good luck to you, and I’ll be keeping up with your posts. Like the specificity of your goals, but what really drew me in was your graphic! Excellent idea and spurred me on to do the same (albeit slightly more cate themed). Great job!